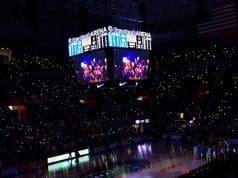 Knocking off the #1 team in the country on their home floor is always a challenge and the Gators didn’t have the magic required for an upset today as they fell to the Tennessee Volunteers by a score of 73-61. Efficient on both sides of the floor the Volunteers showcased why they’re at the top of the nation and though the Gators were able to go on some runs and keep this game respectable they just didn’t have the juice to keep it close for 40 minutes, especially with early foul trouble to some key players like KeVaughn Allen and Keyontae Johnson. Noah Locke lead the way for the Gators with 17 points on 5-8 shooting from deep while Grant Williams, the reigning SEC player of the year who is likely to repeat, finished with 16. The Gators now fall to 12-11 on the season and 4-6 in the SEC with a lot more tough games coming. Want to know a stat from today that you wouldn’t expect? The Gators actually outrebounded the Volunteers 38-35 and had 6 more offensive rebounds than the much larger and much more physical Volunteers squad. Going into this game rebounding was a major question for the Gators who have had trouble controlling the glass through their last few weeks and the fact they were able to not only keep close but win the rebounding category is impressive. Unfortunately, for them to outrebound the Volunteers and still lose by double digits shows how many things went wrong in other facets of the game. Florida was 35.6% from the field and really struggled to generate looks against a long and physical defensive team that was fully aware of their desire to get open jump shots. Tennessee didn’t allow anything easy on the perimeter and tried to force the Gators into the paint where they knew they had the advantage. Though some late makes by Noah Locke brought up the Gators’ 3-point percentage to a not-horrendous 30.8% it was in the low 20s for most of the game and that isn’t going to work for a team that needs those shots to fall to win. I know a lot of fans are going to look at the Gators’ offense as a reason they lost but their defense was as big a factor as any. 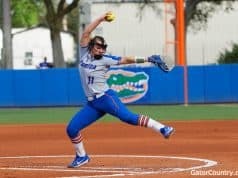 Tennessee (though it should be noticed they are possibly the best offensive team in the country and they were playing on their home floor) had robust percentages of 52.8% from the field and 42.9% from three and that shows a Gators’ defense that was not playing connected. 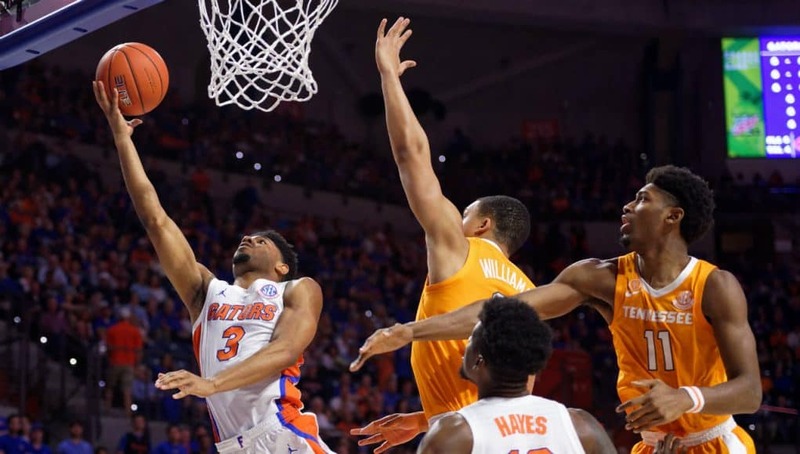 Tennessee had far too many blow-bys on bad closeouts by Florida and those straight line drives ended in either massive dunks or kick-outs to wide open shooters. Kevarrius Hayes showed some great rim protection with 3 blocks but there is only so much one player can do when so many drives were allowed. Defense is the backbone of the Gators and unfortunately they weren’t great today. There was some good Jalen Hudson today but also some of the bad that has plagued him this season. The good? He had 15 points and got some nice layups at the hoop, something he hasn’t always been great at. He was also 5-5 from the charity stripe which had been a problem for him his entire career, especially while at Florida. And the bad? Unfortunately he was 0-5 from three and those misses were way off. If he can keep up the way he was driving to the hoop then he should be a bit more consistent of an offensive player but it continues to be a truly sad storyline that he can’t shoot the ball. I know this loss probably felt pretty deflating but a 12-point loss to the #1 team in the country on the road isn’t awful, especially considering the amount of time KeVaughn Allen and Keyontae Johnson had to miss on the bench because of foul trouble. 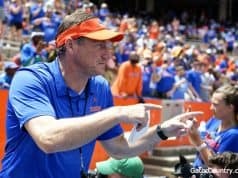 The other encouraging thing to me is the fact that this is probably the least talented Florida team of recent history and this is the best Tennessee team in a LONG time and yet the game was within reach for the depleted Gators at multiple points. Noah Locke proved once again how good he is and Johnson showed his athleticism is top shelf, even against the best team in the country. I know it probably feels like there was just a whole lot of bad today, but to me there were still some nuggets of good.